If you’ve been around here for very long you know I love vinegar for cleaning, getting rid of that sour smell in the washer & removing hard water stains. Around Easter I got a couple of great coupons for some almost free Vinegar! 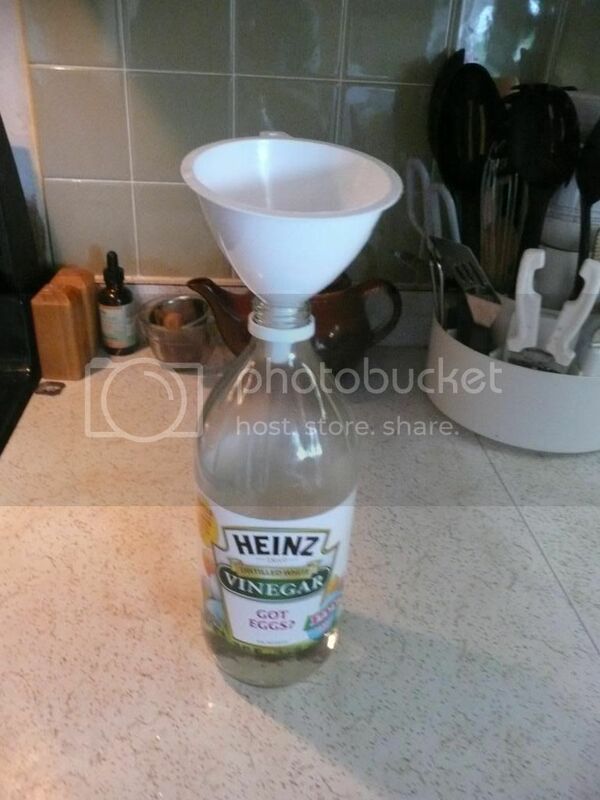 I used the coupons to buy vinegar in this size. For some reason I really loved the glass bottles. Plastic just doesn’t do it for me. I have plastic in my kitchen but I would rather store in glass if I can. There is a reason for this but I am not going to follow that bunny trail right now—maybe later. Before long my nice glass bottles were empty. What is a girl to do? Recyle—yes but I just couldn’t. So I discovered that I can keep my glass bottles from the vinegar & USE THEM! I bought one large size vinegar for a whopping $2.38 from Walmart. I had never bought this size before as it doesn’t fit in my cabinet but those glass bottles do! So I just got out my cute little funnel & repackaged the vinegar in a smaller size REUSABLE bottle! 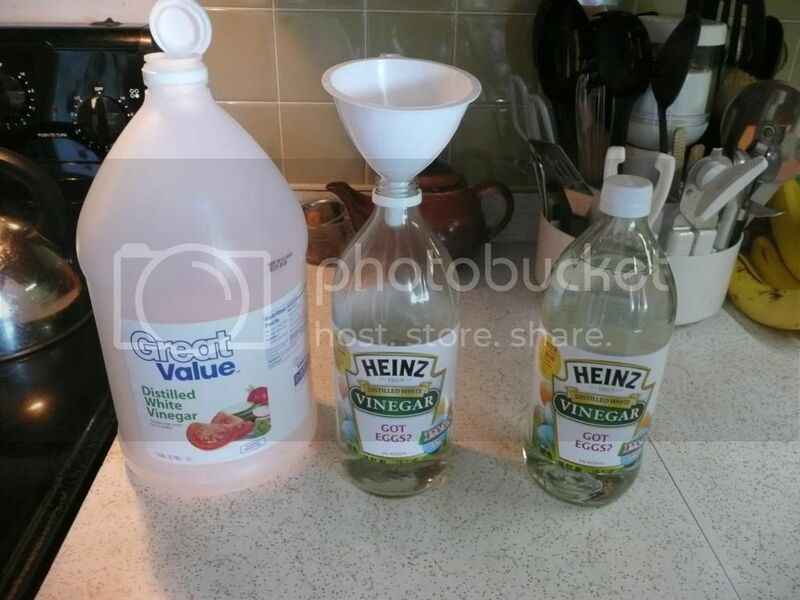 Buying the large size vinegar is less per ounce than a smaller bottle. This saves me some cash, is good for the environment and stops me from buying more plastic that I just have to remember to take to the recycling drop off!